Note: This is Lesson 7 of our Free Feeds & Speeds Master Class. Want to improve your milling finish? Trying to reduce post-machining finish work or just get better looking parts? You’re in just the right place. This article is about the little tricks focused expressly on creating a better surface finish. If your concern for surface finish is based on the requirements placed on a particular part, understand how the Surface Finish will be measured. 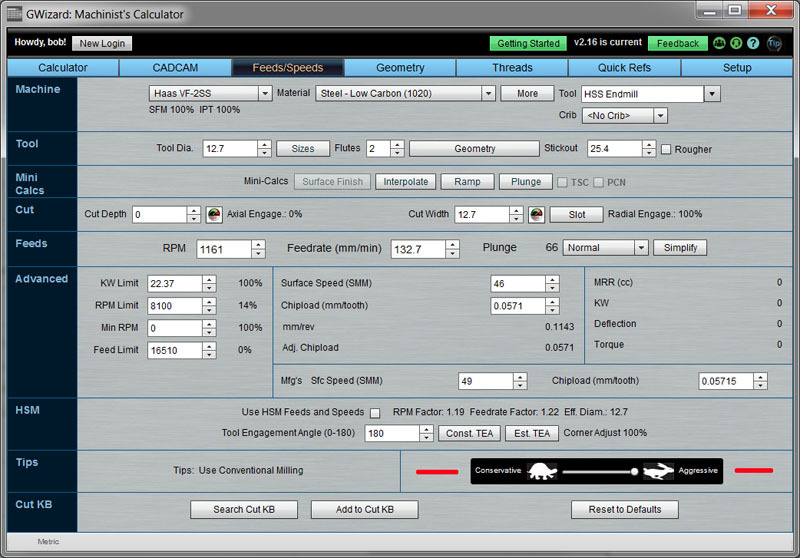 Which Surface Finish Measurement system will be used–RA, RZ, or some other? The link will take you to our page on Surface Finish Measurement which will help you understand the ins and outs of these systems as well as provide handy conversion between the different systems. It’s absolutely critical to have the right feeds and speeds for finishing work–no guessing! 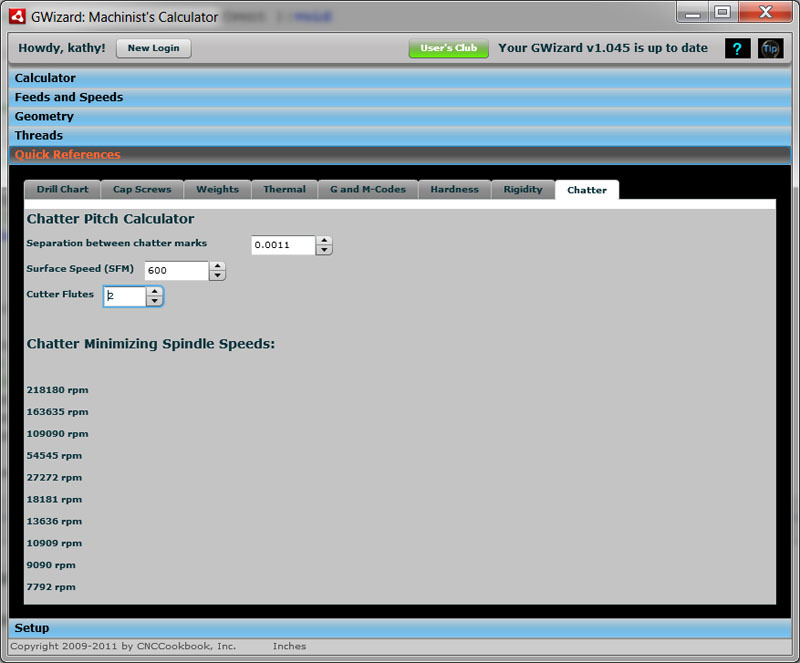 Use a proper feeds and speeds calculator like G-Wizard–most finish work needs to take radial chip thinning, ballnose compensation, and a host of other sophisticated factors into account. Keep the rpms up where surface speed says they should be and back off the feedrate for a finer finish. G-Wizard has its “Tortoise and Hare” slider to do this adjustment. Move it all the way left. That’s its special “Fine Finish” setting which puts the chip load as close to rubbing as you want to go for best possible finish. Don’t allow the chip load to go too low or you’ll be rubbing the tooling instead of taking clean cuts. In general, the Tortoise-Hare slider provides a tradeoff between quality of finish and how fast it removes material when roughing. Keep a low cut width (or cut depth if you’re talking the floor of a pocket or surfacing with a Face Mill) and do a separate finish pass. The depth of cut has to be larger than the chip load, or you can get rubbing. Usually something like 2-3x chip load will be right for the finish pass. I do a lot of finish passes in the 0.015″ neighborhood. The lighter pass will reduce cutting force and keep things smoother for a better finish. When you do the finish pass, reduce depth of cut a few thousandths so that only the side of the endmill is cutting. This will improve surface finish and reduce chatter. Sounds like a geat tip to me! Chips down in the work will scratch it up as your cutter slides them around in the hole. With work hardening materials like stainless, you may as well scatter a handful of hardened steel chips to scratch up your work. Use your coolant or air blast to get the chips completely out of the way of the hole. Hurco calls this out as one of the first and most important things to attend to in order to improve your surface finish. The chips won’t clear of their own accord, although the tendency for gravity to help the process along is one reason horizontal mills can be more productive than vertical mills (or lathes too for that matter). Either Flood Coolant or an air blast with mist if needed will do the job if properly set up. See our article on the role of coolant for more. Rigidity in all areas is key to a fine surface finish and any vibration of flex is going to be bad for your surface finish. The primary impact of workholding on surface finish is vibration. In the worst case vibration will turn into chatter, which is a harmonic effect that will be very visible in your surface finish. Clearly, the more solid you can make your workholding, the less likelihood of vibration there will be. Make sure your workpiece is supported and clamped over as much area as possible surrounding the cut while still leaving room for the cutter to get in there and do its job. Remember that as you are removing material during the machining process, you are in some sense weakening the workpiece. You may weaken it to the extent that the vise or other workholding fixtures can start to deform the part. For example, suppose you’ve firmly clamped a relatively thin piece of aluminum plate flat in the vise. You intend to machine away the middle so it’s like a picture frame. The initial slotting pass may relieve enough material that the slot pinches against the cutter with poor results. – Glue the plate to a subplate with super glue. It releases with heat (careful, the fumes are toxic!) when done. You can also use double sided tape and various commercial products for machinists that are intended for the purpose. Jeweler’s wax (sometimes called “Dop Wax”) is also good for securing parts as is hot glue. For all of these adhesives, make sure they will stand up to your coolant! – In general, keep the unsupported workpiece overhang as little as possible for all machining operations. – Use edge clamps (such as Mitee Bites) or make use of holes in the workpiece to clamp to a fixture plate. – Beware over torquing any workpiece lest it deform, pinch the cutter, or destroy the accuracy of the work. – A relatively new development is vibration dampening workholding. Don’t finish with the same tool you used for roughing. Keep brand new sharp tools for finish passes and rotate them to roughing work after they’ve done a brief tour finishing. If you’re using an indexable tool, like a facemill, use two different sets of inserts. You can’t get good surface finish if your tool is deflecting excessively or chattering. You’ll see every bit of that in the finish on the cut sidewalls. Minimize tool deflection for best surface finish and to minimize chatter! A tool that is deflecting wants to act like a tuning fork. It will neither leave a good surface finish, nor be accurate. How much deflection is too much? Ingersoll’s ballnose catalog talks about just one thousandth of an inch leading to a chatter-prone tool. It’s surprising how easy it is to get that little bit of deflection with small diameter or long reach tooling. In fact, the ratio of diameter to length of the tool is a great place to start talking about reducing deflection. 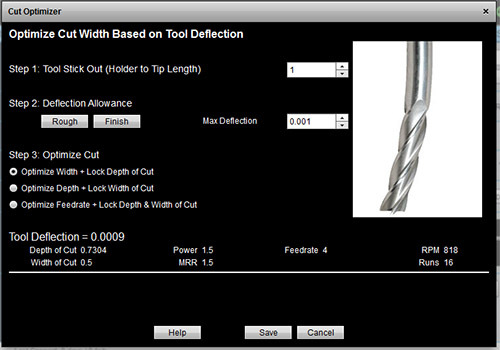 Reducing length to diameter ratio by 25% makes the tool more than twice as stiff so it deflects less than half as much. Deflection is directly proportional to length to the third power (a tool twice as long will deflect 2*2*2 = 8 times as much, all other things being equal!) and inversely proportional to diameter to the fourth power (a tool half the diameter will deflect 2*2*2*2 or 16 times more, all other things being equal!). In other words, use the shortest, fattest tooling possible. Consider a toolchange between roughing and finishing. Instead of using the largest tool that fits the smallest radius of the tool path, use an even larger tool for roughing and let the finishing pass deal with the smaller radii. Roughing is where you’re hogging the deep chatter-prone cuts anyway. Never use a longer tool than necessary. Any length more than 3x the tool’s diameter starts to be chatter-prone and by 5x you’re wishing for all the help you can get to control the chatter. Choke up the tool in the chuck as much as you can to reduce stickout. By the way, the part of the endmill that is fluted is weaker than the solid shank. Use the shortest possible endmills with the shortest possible fluted lengths for maximum rigidity. Solid carbide cutters are much more rigid than HSS cutters. Hence, even if you’re not running them at flat out carbide speeds, they may still produce a better finish. This will be especially true for longer reaches, smaller diameters, and so forth. Incidentally, carbide generally takes a smaller chip load than HSS, but it runs at so much higher rpm that it still comes out ahead. Another way to reduce vibration is to use balanced tooling. The higher the rpms, the more important this can be. 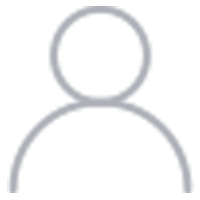 – One of the challenges for surface finish when face milling is that each insert differs in cut depth by just a little bit–they’re not all cutting at exactly the same depth. More expensive facemills let you adjust each insert individually. If you can get them adjusted to a couple tenths or less, finish will be greatly improved. Failing that, try a flycutter. A big adjustable flycutter can cover the most territory in the fewest passes, and will often leave the most pleasing finish. However, you can convert even a regular facemill into a flycutter simply by removing all but one insert. 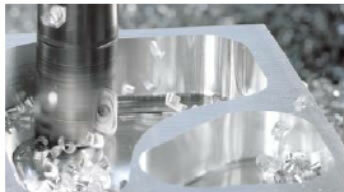 – The best efficiency occurs when 2/3’s of the facemill engages the workpiece at a time (67% stepover). This also results in a better surface finish. Full engagement of the cutter keeps the forces on either side of the centerline fighting each other (leads to vibration) as well as starting chips out at zero thickness. Chip formation should start thick and end thin for best surface finish. See the note below on Entering the workpiece (“rolling in”) for more on starting thick and ending thin. – Climb mill with this 2/3’s cut ratio. Conventional milling with a face mill causes the chip to start out thin, which sometimes leads to rubbing at the outset of chip formation that is bad for surface finish and can lead to BUE. The best finishes start the chip out fat and then thin it out before the chip releases. – Keep an eye on the horsepower required for your cut. Facemilling uses a lot of it with surprisingly low depth of cut because the cutter is so wide. A wide cutter relative to the workpiece produces a more pleasing finish (fewer “mow” bands), but too much horsepower can be injected into the cut and will lead to vibration problems. Your horsepower used (or a load meter on your VMC) is telling you how much of this tendency there is. – Roll into cuts with a face mill as described below under Toolpath Considerations. – If you don’t need a square shoulder, a 45 degree lead angle facemill will often leave a better finish than a 90 degree. Chips are also about 30 percent thinner versus a 90 degree facemill so faster feedrates are possible. – Where surface finish is the major consideration, use the extra sharp finishing inserts, they make a big difference. – Recutting or back cutting occurs when the surface that was already cut is cut again by the back edge of the facemill. A perfectly trammed machine cuts on the leading edge only, but perfection only occurs in theory. Slight tramming errors and deflection can make back cutting a reality, and it usually results in a poorer finish. Some machinists will put their machines very slightly out of tram so that the cut is always made on the leading edge of the path. This also helps to prevent chips being dragged around the circumference of the cut which further degrades the finish. Obviously you’d only want to cut travelling in one direction as well. The bias in tram needs to be very slight lest the angle cutter create scallops that are too pronounced. Larger diameter cutters will magnify the scalloping effect. – “Wiper” inserts can be used to great effect for improved surface finish. A wiper is a flat ground on the insert. It cuts with the leading edge of the flat (which is parallel to the workpiece) and then the “wiper” burnishes the work as it passes underneath. The width of this wiper flat must be greater than the advance per revolution to allow the cutting edges to overlap. Spindle tilt such as was discussed around back cutting is critical when using wipers. Due to the sharp ends on the insert, excessive spindle tilt can cause dig-in. PCD inserts are supposed to leave the most amazing finish possible on aluminum. Some machinists keep a PCD-equipped flycutter in their tooling arsenal just for area finishing aluminum. 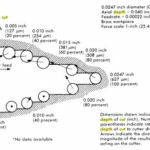 For a lot more data on using fly cutters, see our Fly Cutter page from our Feeds and Speeds Cookbook. A bullnose or endmill with a radius will leave a finer finish than a flat endmill. If we’re talking insertable tooling, use a radius. Round inserts are most prone to chatter (but if they are not chattering, the big radius leaves a great finish! ), while those with a 45 degree lead angle are least prone to vibration and chatter. All things considered, sharper inserts, more lead angle, and positive rake all lead to better surface finish. A 45 degree face mill produces a much nicer finish than a 90 degree square shoulder face mill. 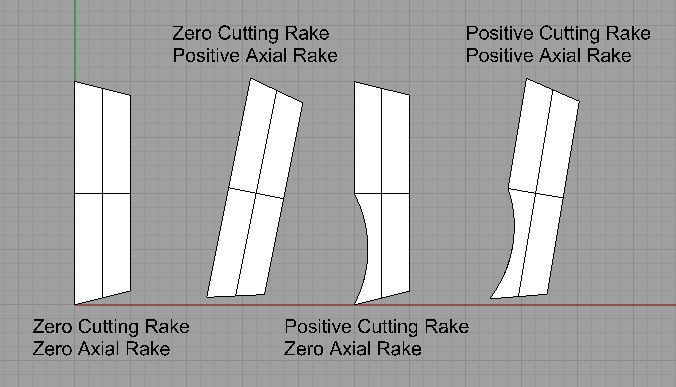 Positive rake cutting geometries will typically require lower cutting forces (resulting in less deflection), and they will produce a finer surface finish. The positive geometry bites into the material’s shear planes with less force. – Prefer sharper inserts. These are often more expensive ground inserts rather than pressed or molded inserts. High helix cutters leave a better finish. Variable helix cutters break up chatter vibrations because the varying helix keeps the vibration from settling on a single frequency. More flutes or inserts are equivalent to a higher rpm. Many older mills are limited on their spindle’s rpm. Being able to employ more flutes or inserts can restore some of the advantage. Be sure to consider chip clearance. You shouldn’t use a 4 flute cutter when slotting in aluminum (there isn’t enough chip clearance), but you can use a 3 flute to slot and it is equivalent to 50% more rpm than the 2 flute. Even better, if you are milling around the outside profile (peripheral milling), there may be plenty of clearance for chips to fall away and you could use a 4 flute cutter on aluminum. A counter argument to using more flutes or inserts is that fewer flutes/inserts are less prone to chatter. 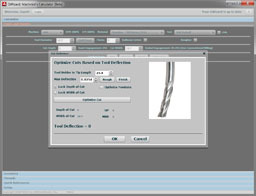 A single flute end mill will also provide much more chip clearance. This can improve surface finish in materials like plastics which are easily scratched by their own chips. You can sometimes break up chatter on a facemill or other indexable tooling by removing an insert. It is the regular striking of the inserts against the workpiece that feeds the vibration. Taking out an insert means that every so often that regular pattern is broken up. Be careful with this technique–it’s the fastest way to dull a cutter and if you move the tool into the material much you’ll break the tool. However, if you can get a tool you don’t care about dulling (just endmills, no indexable tooling! ), and you control the tool well enough, it leaves a burnished finish on the workpiece that may be just the ticket for your job. 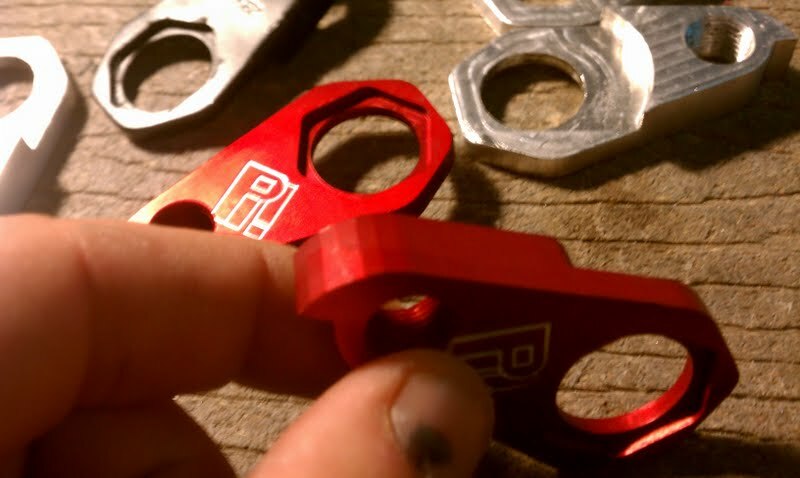 Don’t use this trick for anything harder than aluminum or brass. This is a complex topic. Climb milling reduces cutting forces and ordinarily that would be the best answer for finish. But, climb deflects into the wall and conventional does not. Read our Climb vs Conventional Milling Page to decide which will be best for your needs. Roll into and out of your cuts for better surface finish. See our Toolpath page for more info on this technique. Every time the tool stops while in contact with the workpiece it’ll leave a mark. Never dwell (stop the tool against the workpiece) when surface finish matters. Cutting down the centerline will slap an insert or flute flat against the edge of the material, which creates burrs and generally makes it hard to get great surface finish. Instead of a 50/50 cut down the centerline, choose about 70/30 for a better result. We’re talking about facemilling and fly cutting here, or area finishing. When it comes to area finishing, there are two schools of thought on tram and surface finish–either get your mill trammed near perfectly or put it out of tram just a little bit. The considerations are largely aesthetic. If your mill is well trammed, you’ll see equal tooling marks on both sides. If the spindle “leans” into the cut a bit, you’ll only see one tooling mark. Some folks prefer the symmetry of two marks and some prefer the one. Either way, if finish matters and your mill is trammable, you’ll want to retram just before critical finish work is done. The endmill can’t cut a corner any smaller than it’s own radius, but when the endmill and corner radii are the same, it’s particular likely to cause problems. Make the endmill slightly smaller. You may have to increase the corner radius if you customer will allow it, or do something sneaky, like use a metric size if it is closer than the next smaller Imperial size (or vice versa). If there are no inside corners, use the biggest tool you have that will produce a fine finish. It’s size will contribute to rigidity and a smoother finish. Wiper Inserts have a small flat area adjacent to the tool nose radius that actually burnishes the finish smooth. The resulting finishes can be pretty sweet. Both will produce a better surface finish. See our article on 45 vs 90 degree Face Mills for more. With runout, your tool (or workpiece on a lathe) spins in an eccentric path instead of a true circle. This is very bad for surface finish. The more runout, the worse the finish. If you know some cutter and toolholder combinations have less runout, prefer them when finishing. For example, an ER collet chuck will amost always have less runout than a setscrew-style endmill holder. Use the collet chuck when finishing. How fine a finish should you spec? If you ask for too much, you drive up the cost to manufacture. Too little and you reduce the quality of your product. If you want the finish that’s cheap and cheerful to hit with most CNC machines, specify no finer than a 64 µ” finish. A 32 µ” finish won’t add much cost, and a 16 or even an 8 µ” finish can be done, but now you’ll be looking at increasing costs. Thanks to ProCNC.com for these tips! Here is a discussion of the cost of excessive tolerances, which is also applicable to excessive finish requirements. – HSK toolholders are as much as 4x stiffer than equivalent sized CAT40 holders. 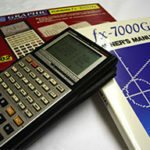 This is mainly due to the dual-face contact of the HSK design. Surprising that the lowly collet chuck performed nearly as well as finicky shrink fit tooling and quite a bit better than more expensive hydraulic and power chuck-style holders! 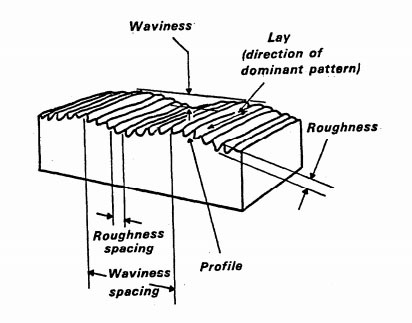 However where roughing is concerned, the Dynamic Stiffness is important for suppressing chatter. For maximum material removal rates, we want to maximize Dynamic Stiffness. Here the Collet Chuck also performs pretty darned well, and it is in hogging out lots of material that the hydraulic and milling chuck style holders start to come into their own. The shrink-fit performs poorly because the shrink fit doesn’t dampen the vibrations, it just holds the tool very very tightly. Makes you wonder if it doesn’t make it more likely to ring like a bell when held so tight? – Consider balancing your toolholders. It’s a requirement for rpms over 10K, but it will smooth vibrations even at lower rpms. Obviously tools like flycutters are inherently unbalanced to start with, or must they be? Perhaps a design that is balanced will produce a smoother result. – Consider runout. A holder with a lot of runout injects a lot of vibration that will ruin surface finish and ultimately break cutters. Smaller cutters are more sensitive to runout. A thousandth of an inch is a lot of runout for a 1/8″ cutter to deal with as it is effectively jerking the cutter around in the cut as it rotates. 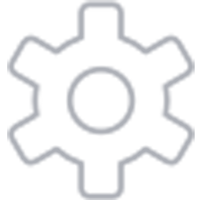 – Collets often have less runout than setscrew holders. Some complain they don’t hold as well. A compromise would be to use set screw holders for larger shanked tooling (say anything over 1/2″) and collets for smaller shanks. OTOH, for those that claim the collets don’t hold (tools are getting sucked out), others are claiming the toolholder and collet aren’t clean, or the nut isn’t torqued down tightly enough. The specs for ER collet nut torque are pretty high, so be sure to give the spanner wrench a good tug. Alternatively, I have been using ball bearing nuts which take surprisingly less torque because they have a ball bearing interface with the ER collet instead of trying to spin against the collet as it tightens. – Integral shanks are almost always stiffer than inserting a shanked tool into a toolholder. 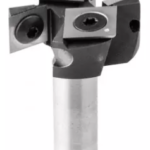 – Various specialized holders are available such as flatback drives that seat the toolholder against a precision spindle face for more support than the taper alone could provide. 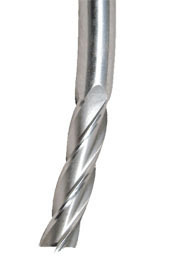 The biggest challenge with ball nosed end mills of various kinds is slow nose speed. As you get closer to the tip, the diameter on the ball gets smaller and smaller, finally going to zero. As a result, the cutter must perform over a wide range of surface speeds and chip loads at different depths in the cut. Be sure to keep this in mind when using one. If possible, use a feeds and speeds calculator or CAM program that properly accounts for these effects. Balance the diameter of a ball end cutter versus the rigidity. Remember, the part of the ball near the axis moves slowly. A smaller ball interpolated exposes more of the surface to a faster moving cutter, leading to a better finish. But, the smaller cutter can flex more. Hence the need to balance these two factors. 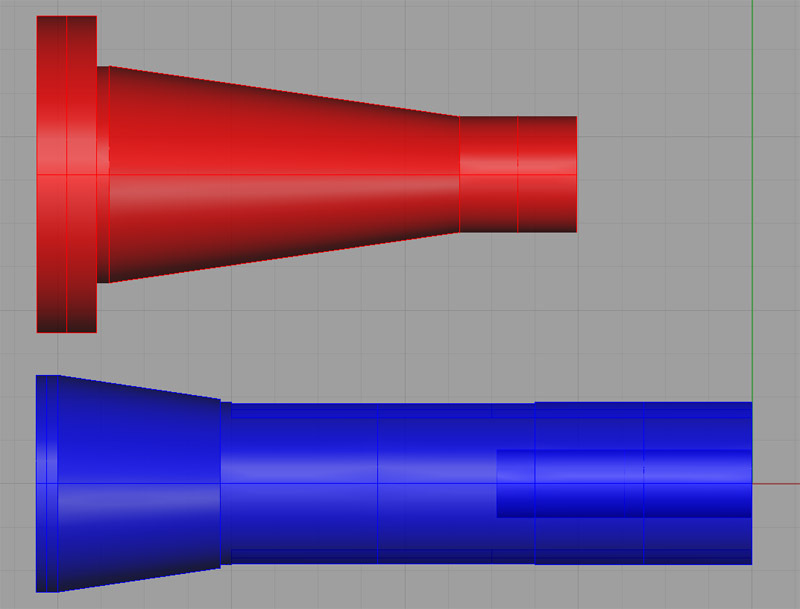 If you have a 4th axis or 5-axis mill, you can try “Sturz” milling to combat the slow moving tip. See below for details. Choosing the right stepover for your ballnose is critical for efficient 3D profling. Check out our article on how to choose Stepover for details. Our article 7 Software Excuses for Bad Surface Finish can help. Anyone who frequents the machining boards online has seen countless threads where someone is asking after how to get a “mirror” finish from their mill or lathe. While it is easier to come close on a lathe, the truth about mirror finishes is that they largely do not exist. Yes, there are machine tools capable of doing optical quality finishes. These are extremely rigid machines that largely use diamond tooling. 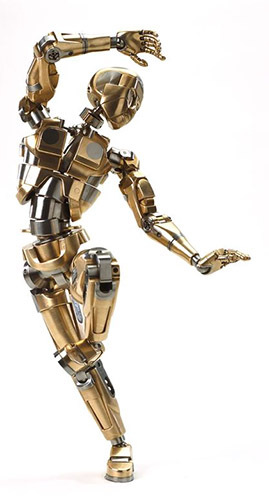 But, those are not the machines most of us will have access to, and they are not the machines most people are talking about as they ask after a mirror finish. Have you ever noticed how most photographs of a so-called mirror finish have the workpiece tilted at an extreme angle? Have you ever seen the highway mirage where it looks like there is a pool of water on the road far ahead of you that vanishes as you get closer? Same principle. Even asphalt will apparently have a “mirror” finish (that water you saw in the mirage was a reflection of the sky) if the angle of incidence is right. Ask to see the mirror finish looking straight down on the part and you’ll see more clearly what these finishes are all about. This is not to say that a fine milled finish cannot be extremely attractive, its just that it doesn’t really look like a mirror when viewed straight on. The tooling marks will still be visible, but they will be extremely faint grooves. In the best case, you’ll see rainbows created by diffraction effects acting on the grooves. It’s a look that has been called “prismatic”. The closest thing to it is the back of a CD where all the rainbows are, but the milled finish will be a more subtle effect. That’s what you’re looking for to decide you have achieved a great finish. If you need to do better, it’s time to go to some abrasives of some kind and either user vibratory polish or a buffing wheel. The usual problems here are either burning or splintering and pull-out. Burning is a feeds and speeds problem. If you’ve got the right feeds and speeds and your cutter is still burning the material, it’s probably dull and needs to be changed. Splintering and pull-out is tougher to fix. Typically it will require use of special CNC Router Cutters such as Downcut Spirals or Compression Cutters. These cutters reverse the helix direction so there’s no force pulling the grain up on wood cuts, and they make a huge difference. Especially on materials like plywood that splinter easily. One last tip to minimize splintering in wood: put on a thin spray coat of clear finish. It’ll help hold the wood together to reduce splintering.